Have you seen the new Mott’s® Apple Cherry Juice in your local Walmart? My boys loved drinking apple juice growing up, but they are all adults now, with families of their own. 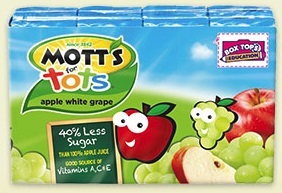 But even as kids, they loved the Mott’s® Vegetable Juices. However, my favourite flavour has always been cherry! So I was excited to try this new taste sensation - I went right out to our local Walmart to grab some. 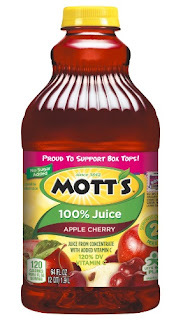 Mott’s® Apple Cherry Juice sounded so delicious, I loved that it was 100% juice. I always made sure to give my boys 100% juice, and so I knew my family would love it too! So imagine my disappointment when I got to the store to find that our Canadian Walmart doesn't carry anything but Mott’s® vegetable juice products! Sounds like it's time for a shopping trip across the border!! I even looked for their Mott’s® Original Apple Juice and their Mott’s®for Tots juices - but there was none on the shelf! 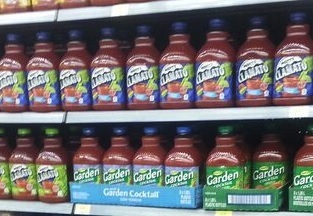 So I snapped a picture of the Mott’s® products that were on the Walmart shelves. To enter the US contest, I would register my Twitter or Instagram handle along with my name and email, for a chance to win the $100 Walmart gift card contest! Then I would post on my Twitter and Instagram accounts about why I think Mott’s® is perfect for meal time, using the hashtag: #MottsMoments and #sweepstakes. Have you tried their new Mott’s® Apple Cherry Juice yet? What do you think? Tell me all about it, so I can live vicariously thru you! Once you try out their latest product, make sure to enter their social contest below for a chance to win $100 gift card to Walmart! First register here - then head to over to your local Walmart, snap a photo of Mott’s® Apple Cherry Juice, and then post about why you and your kids love this product, following the directions below!